"Si eres mujer y no has leido este libro, es muy probable que te estes perdiendo la informacion mas importante de tu vida... Es una defensa convincente, persuasiva, ampliamente documentada y bien escrita, a favor de la progesterona natural, derivada del name, que no requiere receta medica... Una lectura obligada si valoras tu salud. " "If you are a woman and do not read this book, you are very possibly denying yourself the most important information of your physical life. . . . A powerfully persuasive, well-written, and extensively documented case for natural, nonprescription, yam-derived progesterone. . . . A must-read if you value your health." "The Estrogen Altenative, is a welcome addition to the now steadily growing body of literature on options that are low in side-effects and high in add-on benefits." "Any woman who is considering synthetic hormone therapy or who wishes to get off of it owes herself the reading of this densely informative book. The simplicity and safety of the solution is almost shocking. One might ask why every suffering woman is not using botanical progesterone." 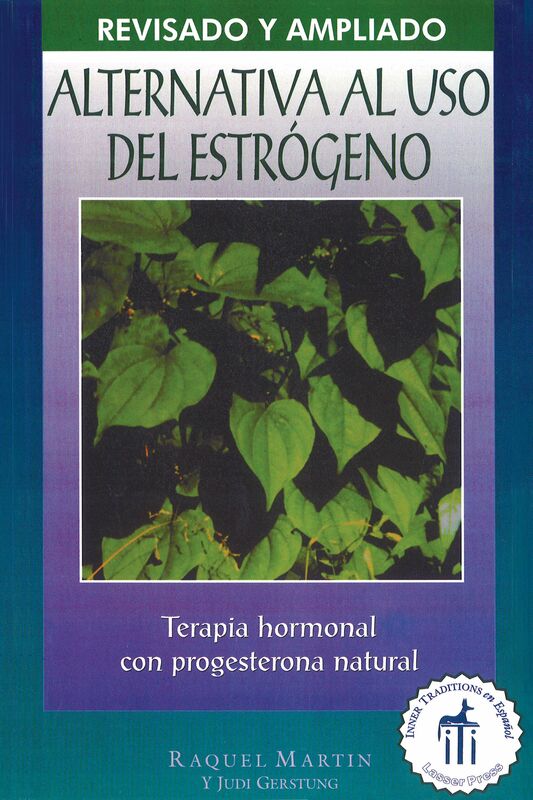 "The authors of The Estrogen Alternative represent the grassroots women of the 60's. As maidens they rekindled the cause of feminine independence; as mothers they reclaimed the birthing of babies; and now as matrons they're redefining the passage of menopause." "I was thrilled to read The Estrogen Alternative. . .The writing style incorporates the research into a narrative that is easy for the lay person to read. The book is thorough, well-referenced and prepares the reader to make educated choices about their hormonal health." – Marcia Smith, N.D., Ph.D.
"The Estrogen Alternative has been instrumental in changing my health-care treatment of women. . . Natural progesterone, with its virtual absence of side effects, makes sense; and using it in my practice. . .has greatly improved my patients' quality of life." – Joseph S. Randall, M.D. "This is an enlightening, easy-to-read book of vital interest to every woman. It assesses information not generally forthcoming from medical doctors and offers information that can help women decide how to manage the seriously important question of whether or not to take synthetic hormones. This book is a valuable tool if you are interested in maintaining your health naturally."